Short and sweet, this will help you consider the big questions of life and the relevance of the message of Jesus today. How did we get here? Why are we here? Can we get to know God personally? What’s the next step? Two thousand years after he walked the earth, Jesus of Nazareth remains one of those most talked-about and influential people who has ever lived. This website explores his life, character, teachings and followers. Another easy to digest option – this one is a slideshow that shows you why and how you might want to try connecting with God. Everything you could possibly want to know about Christianity, and plenty that you probably don’t! But it’s well-organised so you can dip into the bits you’re most interested in, and shows the enormous breadth and variety of the Christian faith. Some of the conversion stories are particularly interesting. St Andrew’s Church is a Scottish church and part of the Church of Scotland. 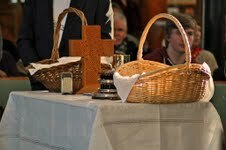 If you would like to know more about Christianity in Scotland, visit the Scottish Christian website. Of course, we’re also more than happy to talk to you ourselves about what we believe – visit our online forum or contact us.